We all agree that our hair is our pride! That wavy-hair look or the sleek-hair look can add sass to the simplest of outfits. We all know that one friend, who always has perfectly groomed, shiny, straight-out-of a commercial locks. As difficult as it seems, we're here to help you get started by sharing with you our shower tips for healthy and silky, smooth hair. Have you ever felt that your hair does not look all that great even after a hair wash? 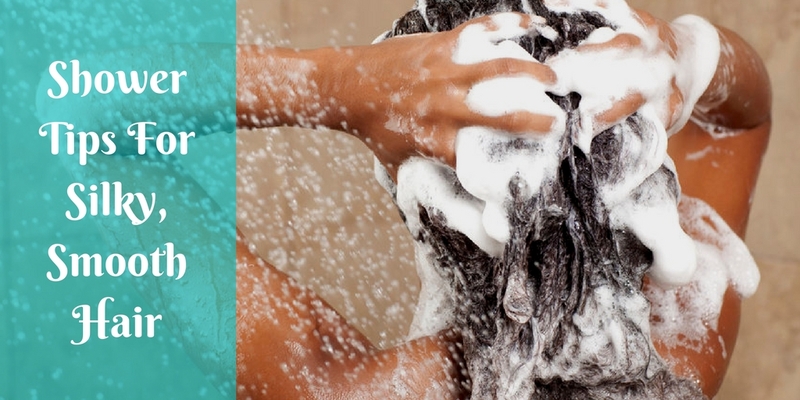 Are you washing your hair right? Following all these instructions will turn your shower into spa immediately. Listed here are some tips that will help you get that lovely mane in no time! Use cold water to rinse hair to make hair shiny and to seal moisture in hair. Cold water closes the cuticles and locks the moisture which eventually makes your hair look shiny. Hot water can increase frizz and can make your hair drier. When shampooing, make sure to distribute the product evenly—instead of pouring it on top of your head, work your way around. Your roots and nape are keys areas to shampoo. Lather the product only at the scalp and then come towards the roots. Concentrate on scalp rather than roots. Try using a shampoo with less chemicals to avoid damage to your hair. Squeeze water out of your hair after shampooing. Avoid applying the conditioner on the roots, because that can cause your scalp to get greasy faster. You need to shower frequently enough to keep your hair clean and in good condition, but not so frequently as to strip your hair of its natural oils. Excessive shampooing can damage your hair and can make them dry brittle due to chemicals it contains. That is why it is advised to shampoo only twice or maximum thrice a week is sufficient. Wet hair is susceptible to breakage, hence use a comb instead of brushing it. Brushing from the roots causes damage – always brush from the bottom and work your way upwards. Try all the above tips and we guarantee you lustrous and healthy hair that will make heads turn the next time you're at a party!